Review Summary: A sensitive story well told, Nil Battey Sannata is worth a trip to the theaters! This film says a great deal about a girl-child's struggles, a mother's hopes and the ways of the education system. But, in the end, Nil Battey Sannata is also a good old story about life and its vicissitudes. Watch this and you will want to give your mother a bear hug. Do not miss this gem. The movie is totally opposite of its title and ends up giving you a ‘Shat Pratishat’, that is cent percent result. Swara Bhaskar’s performance as a poverty stricken ambitious mother act will make you SALUTE her! Chanda gets admission in her daughter’s class. 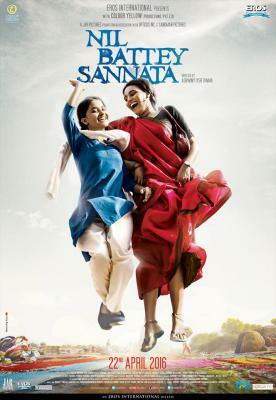 “Nil Battey Sannata” is a sentimental, inspirational film that is provocative and will appeal to everyone. There are plot points you could nitpick on but at the end of the day Nil Battey Sannata remains a warm, feel-good film which offers hope and the promise of upward mobility that doesn’t depend on the social strata you come from but your own will and diligence.